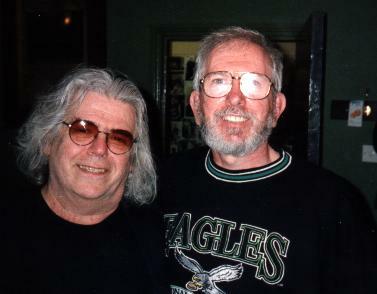 Tim Rose pictured with me after a show at the Trades Club, Hebden Bridge during his tour of England in May, 1999. If you want to buy any Tim Rose CDs, clicking on the logo will (at no additional cost to you) provide a small sum of commission to offset the annual costs of running this site. Thanks for your support! If these pages interested you, take a look at the ones on David Ackles, Richie Havens, Gerry Rafferty, Tim Hardin and the Sutherland Brothers (some pending). Latest revision: January 2014 - Brian Mathieson, Plymouth, UK.